For young children there is something special about tasks which an adult considers ordinary - washing dishes, sewing, polishing shoes, et. They are exciting to children because they allow them to imitate adults. Imitation is one of the strongest urges during children's early years. 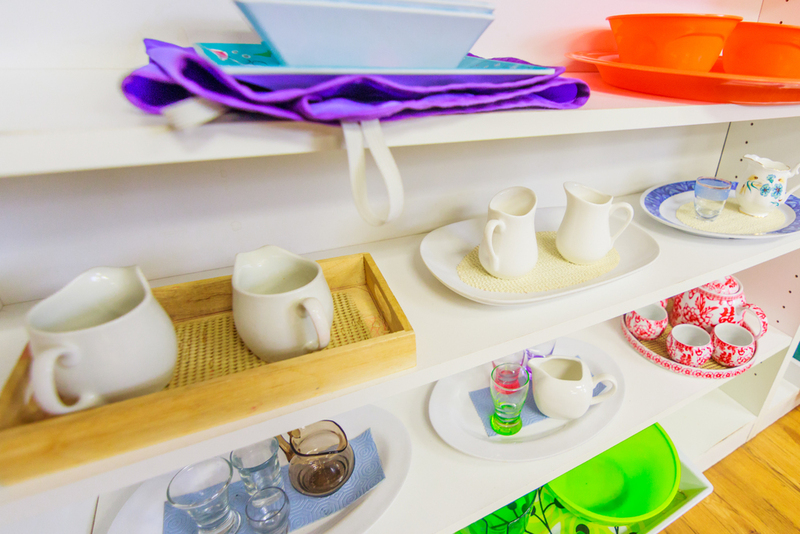 In this area of the classroom, children perfect their coordination and become absorbed in activity. They learn to pay attention to details as they follow a regular sequence of actions and gradually lengthen their span of concentration. 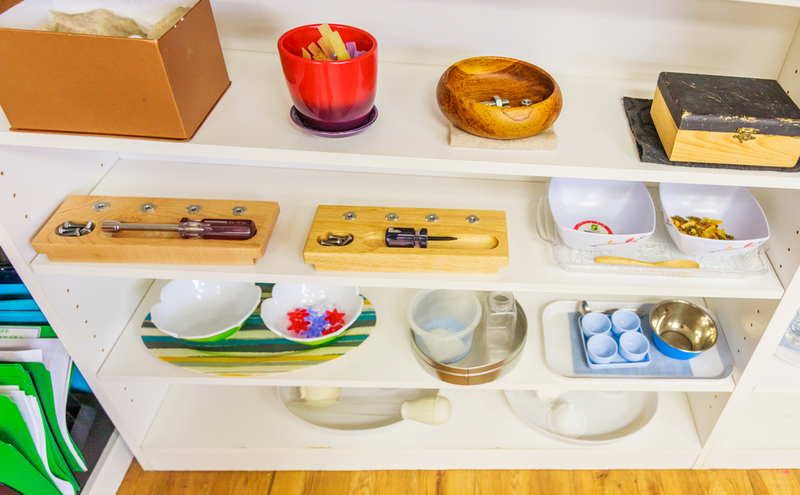 The sensorial exercises in the Montessori classroom are a means for the development of the senses. 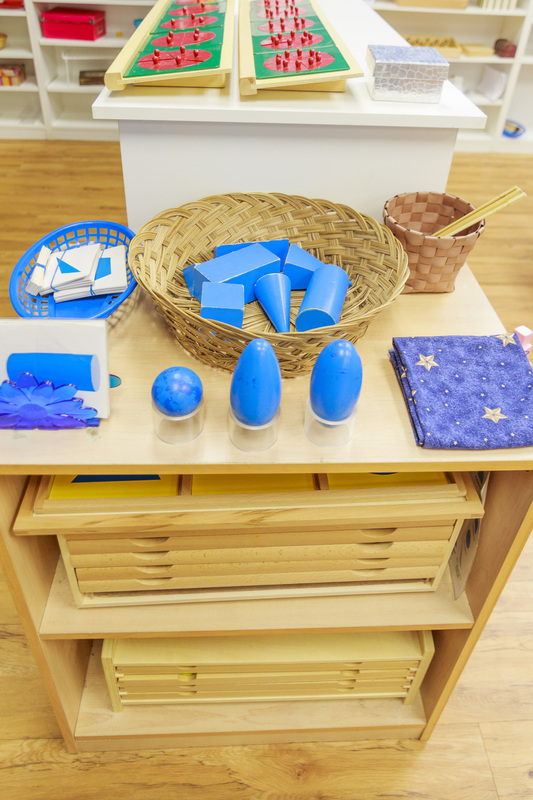 These materials encourage children to classify, distinguish, and refine their perceptions of size, shape, colour and texture. 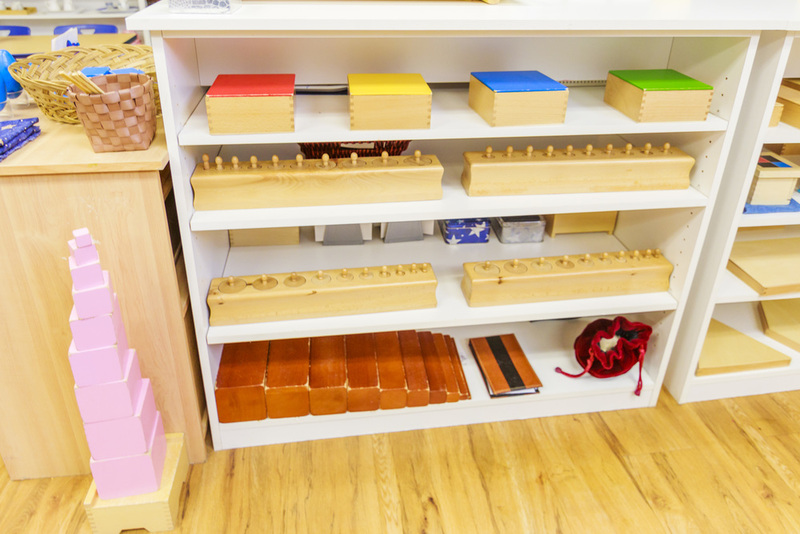 Dr. Montessori demonstrated that if children have access to mathematical equipment in their early years, they can easily and joyfully assimilate many facts and skills of arithmetic. 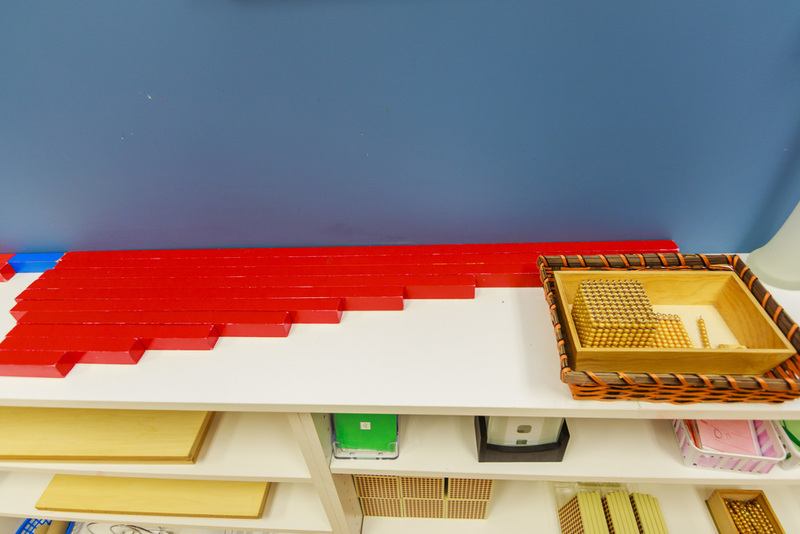 She designed concrete materials to represent all types of quantities, after she observed that the children who become interested in counting like to touch or move the items as they enumerate them. 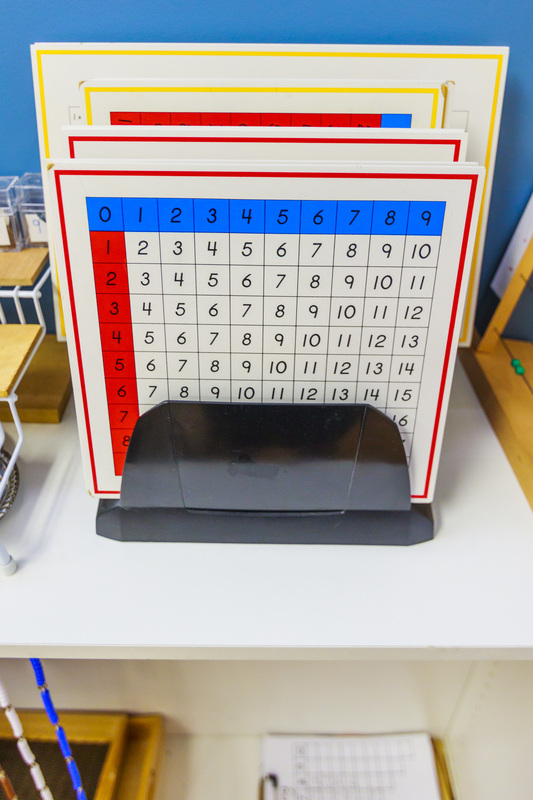 By combining this equipment, separating it, sharing it, counting it, and comparing it, they can demonstrate to themselves the basic operations of mathematics. Children work with the mathematical concepts of 1 - 10, "0”, teens (11-19) and tens (10 - 90) followed by the decimal system (1 - 9000). 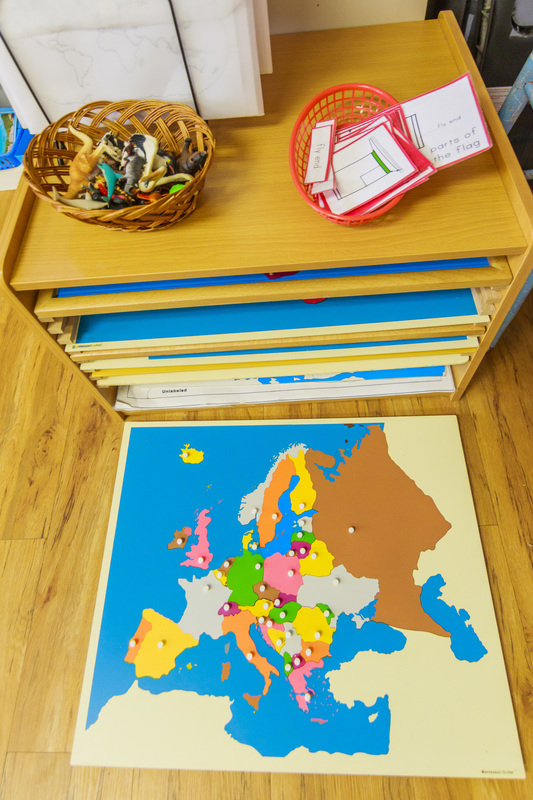 The individual presentation of language materials in a Montessori classroom allows the teacher to take advantage of each child's greatest periods of interest. Reading instruction is introduced to the child upon entry into the Casa classroom at 2-1/2 or 3. 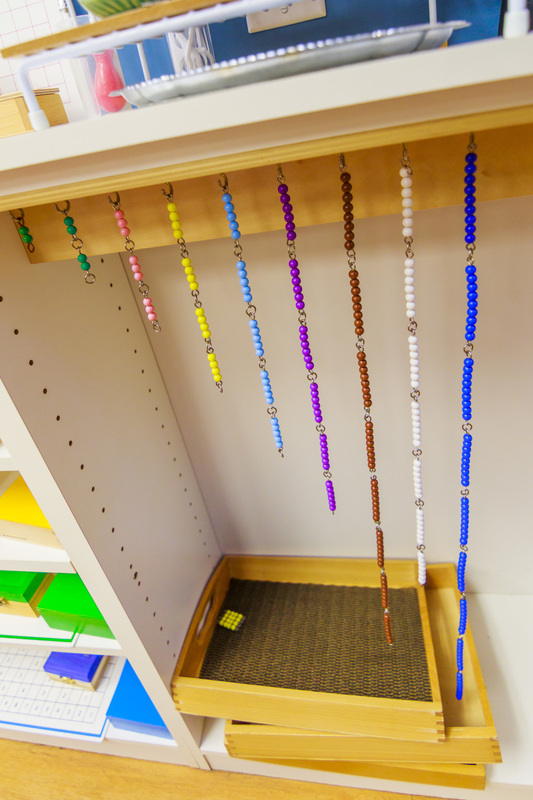 Writing or the construction of words with moveable letters, nearly always precedes reading in a Montessori environment. Children are introduced to reading phonetically first with sandpaper letters, then with reading cards, followed by readers. 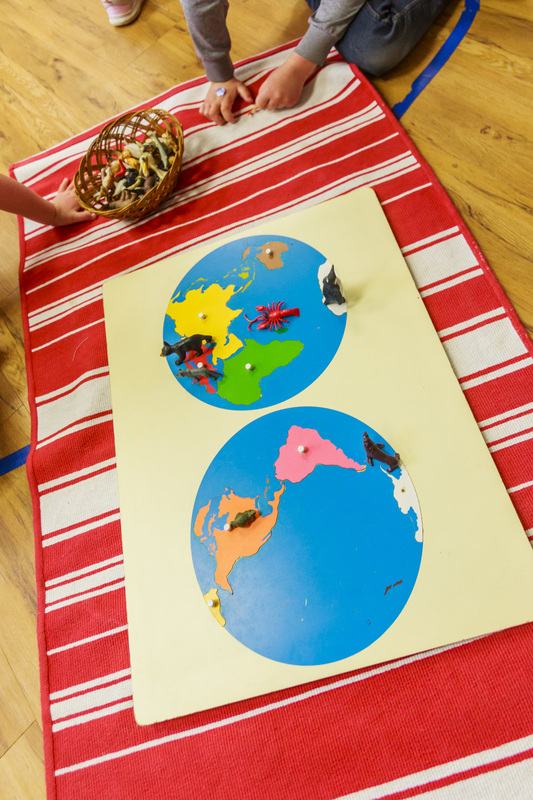 Children gain an awareness of the world around them by exploring other countries, their customs, food, music, climate, language and animals. Children have the freedom to explore their imaginations in a variety of mediums used for expression, including painting, pasting, drawing and cutting. Our program will encourage children to explore the beauty of music through the use of introductory instruments, learning songs of various nature and experiencing music from around the world. A qualified music instructor compliments our music program weekly. Learning about animals and plants will foster a love and appreciation for all living things. Exploring the world of science through such materials as: sink & float, magnetic & non-magnetic, as well as bi-weekly science experiments. 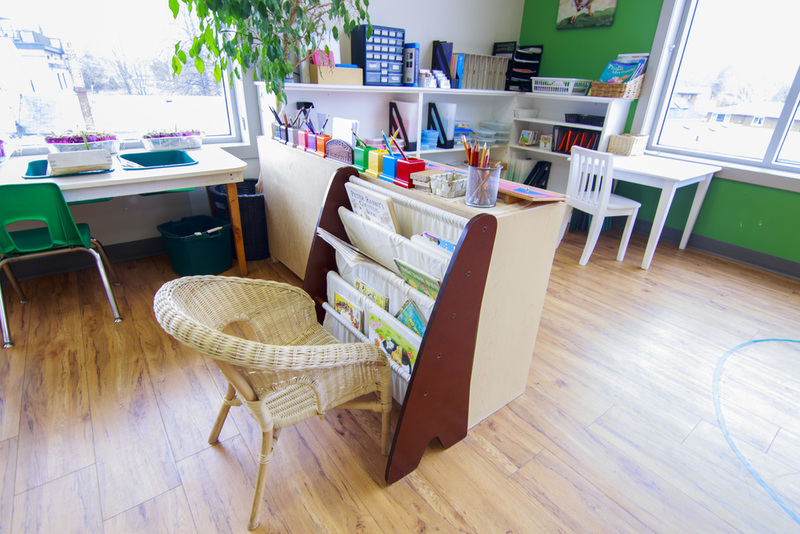 Our daily curriculum also includes an introductory French and Yoga program.